With the weather cooperating (we've got summer, not spring weather! ), our garden is doing very well. Tomatoes, peppers, and strawberries are all moving along nicely, with fruit maturing on each. This week we should have some nice strawberries to harvest, and hopefully we'll have tomatoes soon as well. I prefer peppers that are allowed to change from green, as they are much sweeter, so our pepper will be on the plant for a bit. Our challenge came with the acorn squash. It had outgrown it's trellis -- what to do? My hubby came up with a creative solution using materials we had on hand. 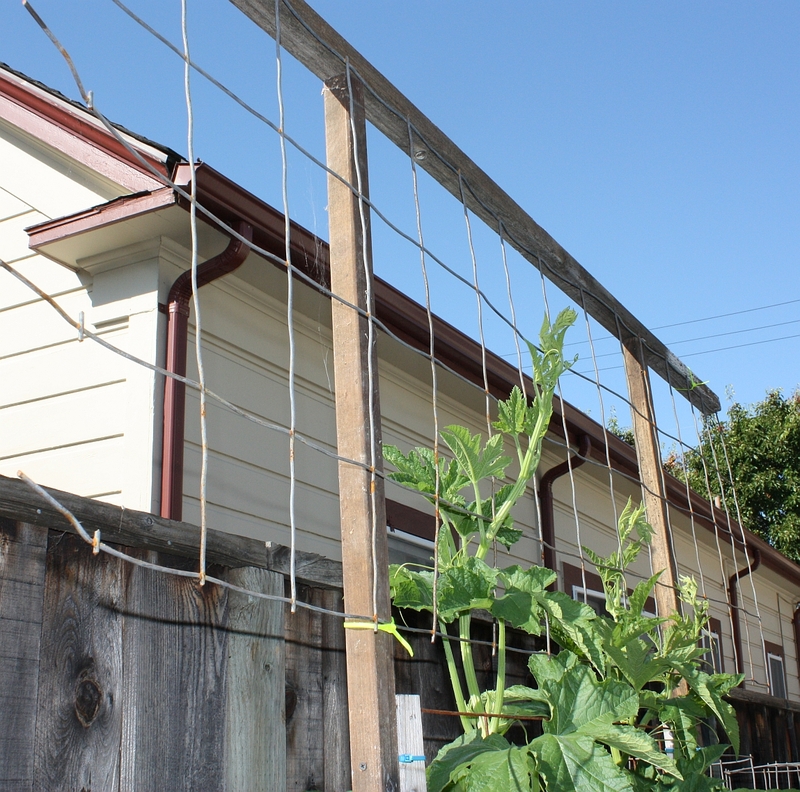 Using wood and some material left over from the tomato cages, he added an extension above the existing trellis. The upward supports overlap the existing trellis uprights, and are screwed in for strength. Good thing he is very tall, as I couldn't reach that high! I'm sure the neighbors are curious about what we've got peaking over our fence. The cucumbers are looking good. I can already see flowers at the bottom of the plants. 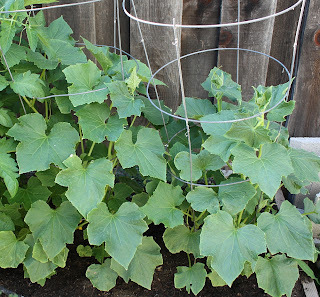 These are lemon cucumbers which we grew very successfully last year. Although I've been using a little here and there, our basil was ready for it's first major harvest. Basil has a lot of water in it, so it's best to avoid any potential mold problems and dry it more quickly than the parsley we're currently air drying. I popped it into our dehydrator and it should be done in a few hours. The parsley is just about done, probably by Saturday it will be ready for my jar. 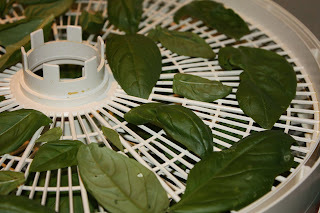 Check out this link for instructions on how to dry your own fresh basil (mint and tarragon too!). How is your garden doing this week? Any challenges or surprises?